Energy, as the driving force for human development, economic growth, and urban modernization is the eternal pursuit of humanity. As the basic energy source in renewable energy, solar energy has the most abundant reserves. The annual radiant energy of solar radiation on the ground is as high as 1.05*1018 kWh. 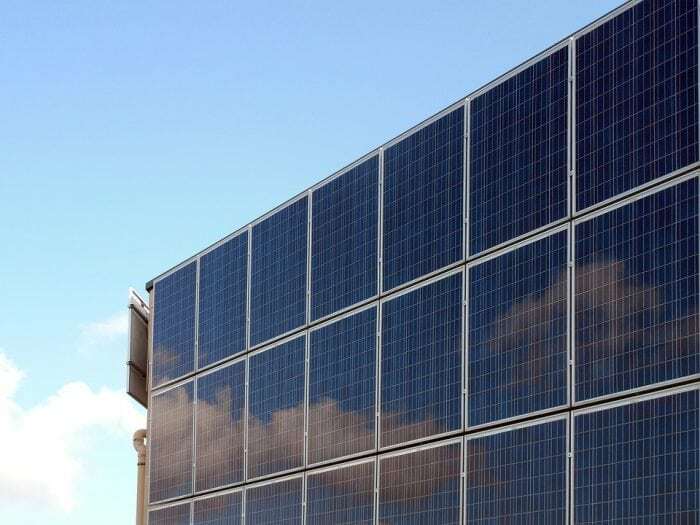 Since the birth of photovoltaic cells in 1954, photovoltaic power generation technology has developed rapidly and plays an important role in energy development. The hydrogenated-amorphous-silicon (a-Si:H) thin film is regarded as an important material in photovoltaic applications. When used as the window layer of an a-Si:H solar cell, a p-type layer with optimized design can reduce parasitic absorption at short wavelengths while improving the built-in potential (Vbi) of the solar cell; therefore, a p-type a-Si:H layer also has a considerable impact on the short-circuit current density (Jsc) and open-circuit voltage (Voc). Holes can easily be hindered in the transport process for photogenerated carriers because the migration of holes is much lower than that of electrons. Using a p-type layer with high conductivity and wide optical bandgap is the key to optimizing the characteristics of the window layer. Furthermore, fluorine-doped tin oxide (FTO, SnO2: F) films, a transparent conductive oxide (TCO) material, is most commonly used as the transparent electrode in thin-film solar modules based on hydrogenated amorphous silicon (a-Si:H) as the light-absorbing material. However, because the Sn4+ species in FTO can be destabilized and reduced to its metallic state (Sn0) upon exposure to a high-flux hydrogen plasma, p-nc-SiOx:H cannot be used in a-Si:H solar cells with the p-i-n configuration and FTO as the TCO. This destabilization and reduction of Sn4+ in FTO occur when the p-nc-SiOx:H film is deposited by a high-flux hydrogen plasma via radio-frequency plasma-enhanced chemical vapor deposition (RF-PECVD). In” Controlling performance of a-Si:H solar cell with SnO2:F front electrode by introducing dual p-layers with p-a-SiOx:H/p-nc-SiOx:H nanostructure,” a paper recently published in Solar Energy, Ren et al. proposed and applied consisting of the p-a-SiOx:H/p-nc-SiOx:H nanostructure with a FTO front electrode to improve the optical and electrical properties of the p side of an a-Si:H solar cell, without affecting the destabilization of Sn4+ in the FTO layer. Instead of using a single p-layer consisting of p-a-Si:H, p-a-SiOx:H, p-nc-Si:H, or p-nc-SiOx:H, the p-a-SiOx:H/p-nc-SiOx:H part of the structure formed the dual p-layers that served as the window layer of the cell. The silicon thin-film layers and a-Si:H solar cells were fabricated at a temperature of 210 °C by a radio-frequency plasma-enhanced chemical vapor deposition (RF-PECVD) in a four-chamber cluster system. The authors found that the wide optical bandgap of the p-nc-SiOx:H layer with low parasitic absorption could also block the electrons on the conduction-band edge at the p/i interface, thus preventing recombination with holes from the valence-band edge. These three factors could promote hole transport at the p/i interface, thus enhancing the blue-wavelength response of the a-Si:H solar cell. A suitable thick p-nc-SiOx:H layer with high dark conductivity and wide optical bandgap was required to enhance Voc and Jsc. In order to identify the suitable thickness of p-nc-SiOx:H, the authors utilized a comparison analysis with p-nc-SiOx:H films of different thickness in the dual p-layers with p-a-SiOx:H/p-nc-SiOx:H nanostructure. The total thickness of the p-type window layer was kept at 14 nm, and the a-Si:H solar-cell performance in this work was optimized by controlling the thickness of the individual p-a-SiOx:H and p-nc-SiOx:H layers. The authors found that when the p-nc-SiOx:H layer was too thin (<7 nm), the initial growth process formed an amorphous incubation layer with high defect density. These defects deteriorated the p-i-n junction to increase Jdark of the a-Si:H solar cell with low FF. When the p-nc-SiOx:H layer was too thick (>7 nm), however, the p-a-SiOx:H layer could not prevent the deterioration of the FTO front electrode by the diffused hydrogen atoms, and the a-Si:H solar cell exhibited poor performance. Finally, the variations in Eff showed a trend similar to that of the variations in FF, and the highest average Eff of 9.57% was obtained at dnc = 7 nm, representing an enhancement of 12.90% from the average Eff of the solar cell with a single p-layer. These findings are described in the article entitled Controlling performance of a-Si:H solar cell with SnO2:F front electrode by introducing dual p-layers with p-a-SiOx:H/p-nc-SiOx:H nanostructure, recently published in the journal Solar Energy. This work was conducted by Ningyu Ren, Jun Zhu, Pengfei Shi, Qi Shan, Tiantian Li* from the Key Laboratory of Semiconductor Photovoltaic Technology at Universities of Inner Mongolia Autonomous Region, ChangChun Wei, Ying Zhao and Xiaodan Zhang* from the Nankai University. Tiantian Li is a researcher affiliated with Inner Mongolia University. Their research focuses on materials science, with a special emphasis on solar energy and solar energy materials.